35 Dates in 2014! Dates 1 and 2! Last March, Hart and I realized that our marriage had to become a better priority. 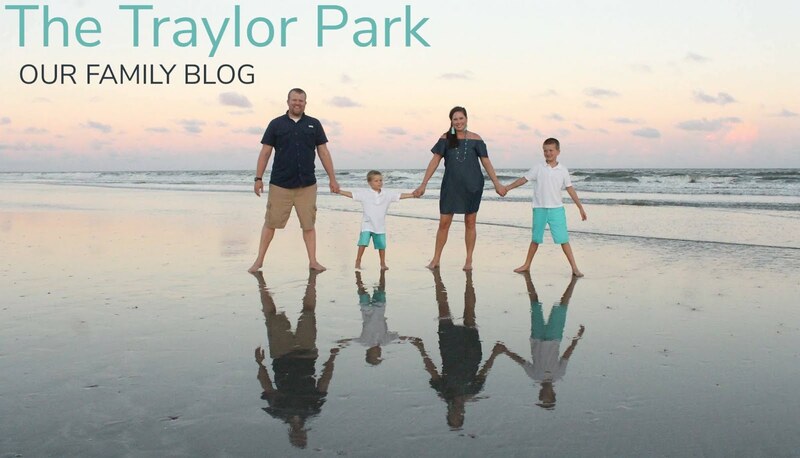 We were living too much in passing and caring for our son, Cai, that we weren't putting the emphasis on each other the way we knew God wanted us to, the way our marriage needed in order to survive and thrive. We went through some counseling and one thing our counselor was adamant about was at least bi-weekly date nights together and quarterly getaways (if even for 1 night). It was a wake-up call we knew we needed and we immediately started putting it into practice. It was hard at first. We really didn't think we could afford date nights out of the house on our tight budget, and even harder to set that time aside when we weren't used to it. However, for the rest of the year, we did so. We also made some getaways happen. The next getaway was for our anniversary in December to celebrate 5 years! We went to Asheville, NC! We went from 1 a year (usually just our anniversary) to 2 a year, which was progress, but not exactly quarterly! Even with frugality, getaways tend to cost us around $400 - $500 if we leave our house, so we have to really budget wisely in order to accomplish them! They do usually include at least 1 fancier dinner, if we can! And we tend to find different deals online through deal websites that are offering random lower costs for accommodations! As we closed out 2013, we thanked God for such great marital progress together! I know that sounds completely nerdy. "great marital progress"... oh gosh. Dating each other was truly FUN and we loved the deeper relationship we experienced together! We also could see how setting that time aside did grow us together more, made us face each other more, and talk to each other like normal people (not just parents) better! We also became better friends and listeners. We realized we were having our 2nd baby in just a few short months... maybe 60 was on the high side given these circumstances?!?! So, we came up with 35 dates in 2014. 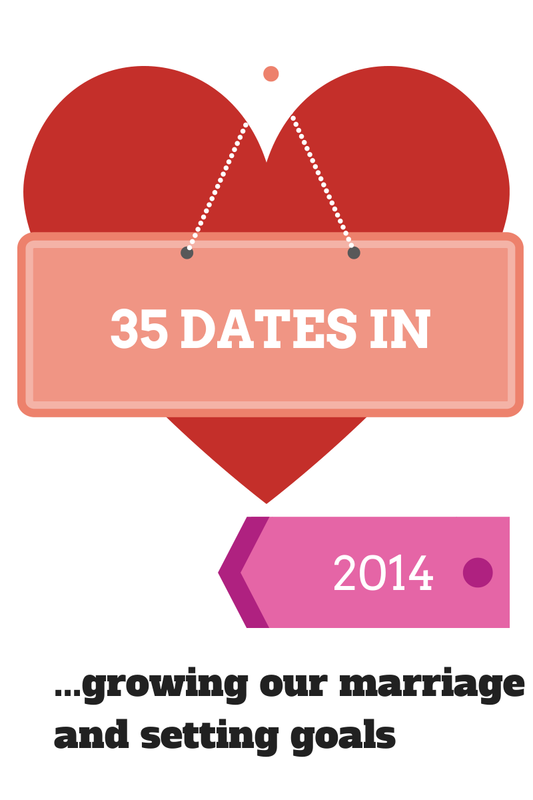 How exactly did we come up with 35 dates in 2014?! I don't really know how we got to this number, but we knew there would be at least 24 (2 x 12), so that would be 2 a month, then add on those "random" dates like concerts or grabbing coffee together, and we came up with 35! I hope we blow right through it, but again... we will have a newborn baby this year, so maybe NOT?! Date 1/35: Our first date of 2014 was to Outback Steakhouse. We had a $25 gift card my brother and his wife had given us for Christmas, so logically, that sounded great! We had a special time together here, because with our $75/month date night budget, going to Outback isn't really always feasible! All I really remember though, besides that our waiter thought I was his college professor (and laughing that with a beard Hart really does kind of look like a professor) was that we decided to give a friend I went to high school with our dessert, who I ran into there! Hart and I had talked over dinner how we really want to be known as being more generous people with whatever God has given us, so that seemed like a small way to start :) Believe me... that chocloate fudge brownie looked amazing to this pregnant lady, BUT... I have all the blessing I need with my sweet husband. That was enough! Oh, and I think we bought some Blue Bell ice cream at the grocery store before heading home... don't feel too bad for me! haha! We decided to have a nice dinner (again) because our sweet neighbor's gave us a $25 gift card to Longhorn's for Christmas! We have some pretty amazing neighbors! They also watched our kids some when we would go to our counseling sessions early before Hart went to work, so no grandparent would have to drive over just for that (although I think they did sometimes). I decided that I liked Longhorns a lot better than Outback! I actually got the salmon, but Hart got a filet (which I'd had at Outback) and his was SO much better, more flavorful, and delicious! I also feel like you get so much more food since they give you a salad WITH your meal... just thoughts! Hart's parents watched our kids for us and it took us almost 40 minutes to get a table! I was getting "hangry" - (hungry + ANGRY) Hart got up and down letting little old ladies have his seat in the packed restaurant during our wait and we laughed, because Hart wore a tie and a coat up top, but jeans and his crocs on the bottom! When he ran out to the van to load up kids, he threw his crocs on real fast as he put B in the van! He forgot to change shoes, so we kept saying this was the "party up top - casual on the bottom" kind of date night! I realize no one probably cares about these details, but I love looking back on this sort of thing! We had a great conversation which included the probing question "How did you feel loved today?" Cheesy... maybe, but you actually learn a lot about each other by asking it. You should try it! We are learning that regardless of what you do, whether your date nights consist of setting time together at home or out of the house, the point is that you do it, together, and with the intent of growing together as a couple... I would add "for God's glory!" because I truly believe that when you do set your marriage apart seeking God, and loving each other the way he designs, you do glorify Him more fully! So, there's the story, the premise, and our fun! I'll keep you posted as we continue dating each other! haha! I leave you with a little blog poster... in case you, too, get inspired to set some marriage dating goals! Go for 35 and see what happens!